Make sure your family is protected and your wishes are carried out. We have access to solicitors to carry out the conveyancing for your new home. 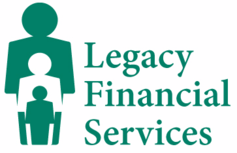 Please be aware that by clicking on to the above links you are leaving the Legacy Financial Services website. Please note that neither Legacy Financial Services (nor The Network), are responsible for the accuracy of the information contained within the linked sites accessible from this page.